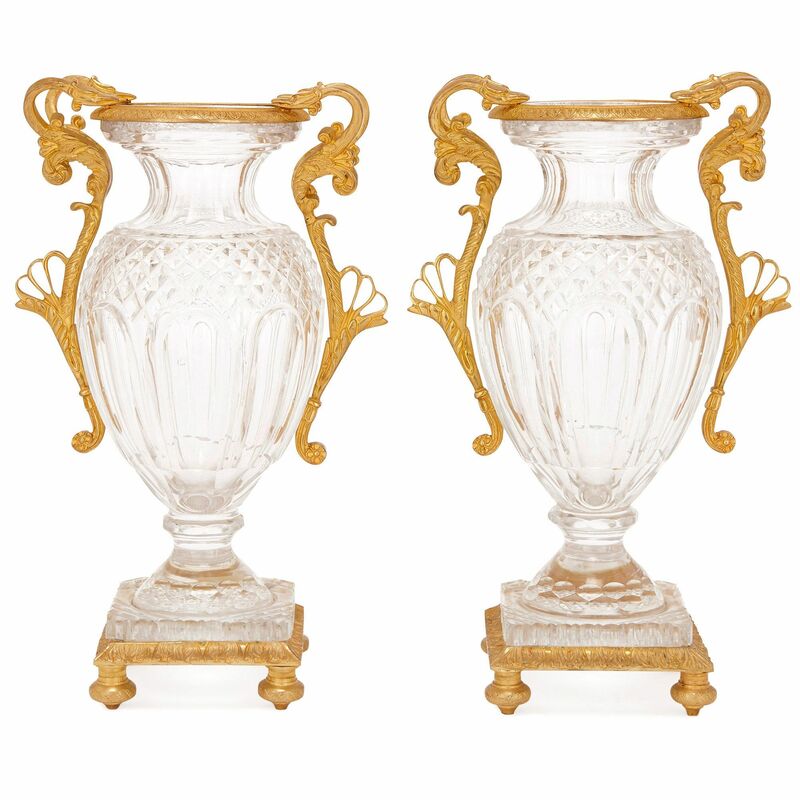 These sumptuous and delicate vases are beautifully detailed and would make the perfect addition to any luxury interior, be it contemporary or traditional. 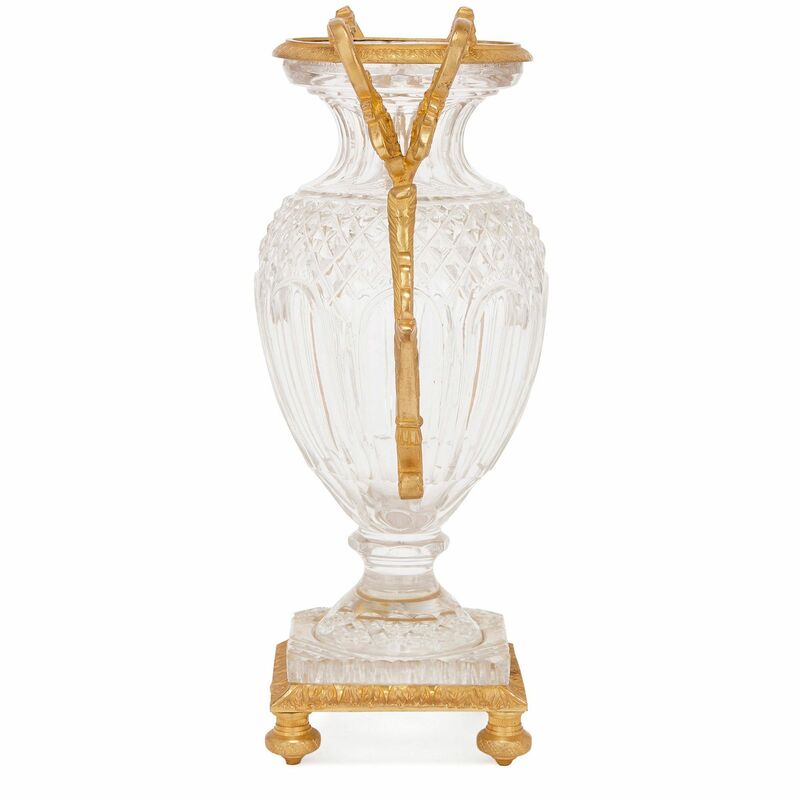 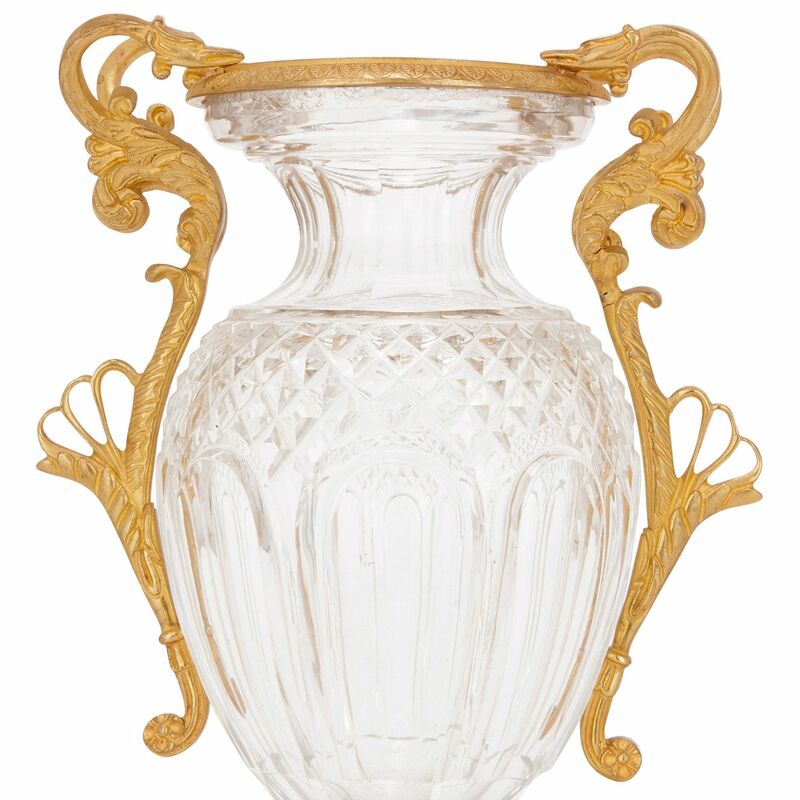 Each vase has an ovoid cut glass body and a flared neck, and is mounted with twin ormolu handles which are joined by a circular rim at the top. 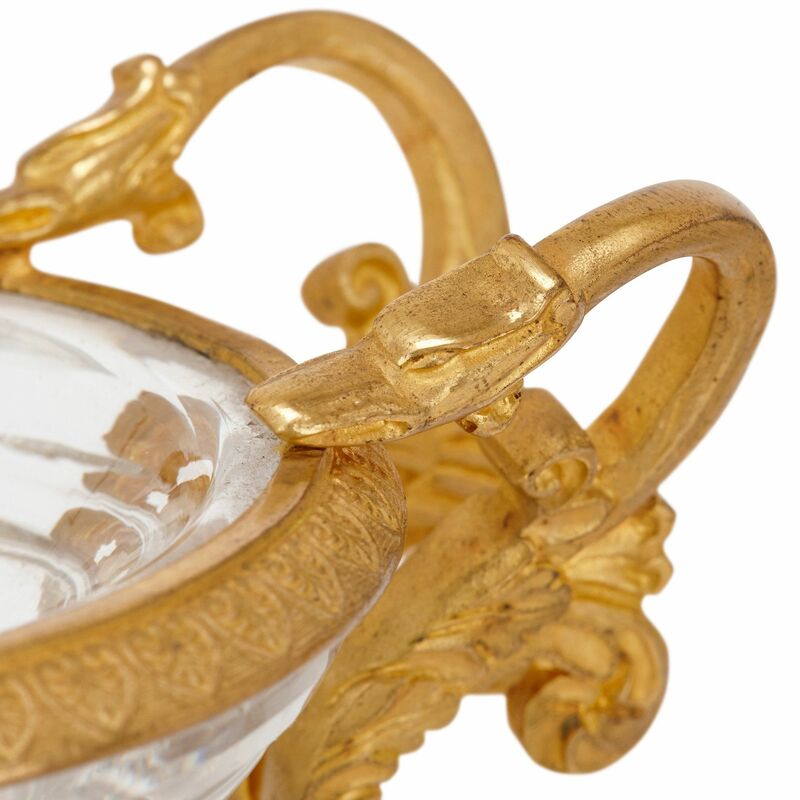 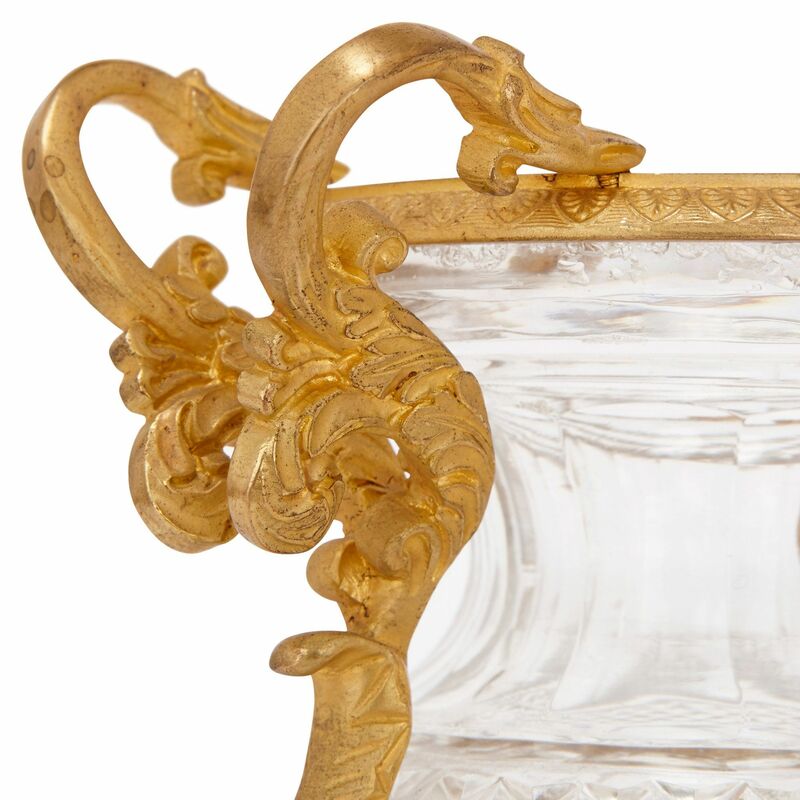 Each handle takes the form of a central ormolu stem decorated with various foliate motifs, terminating in twin snakes' heads. 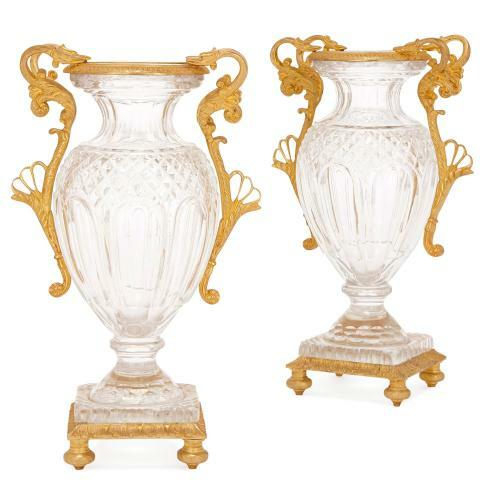 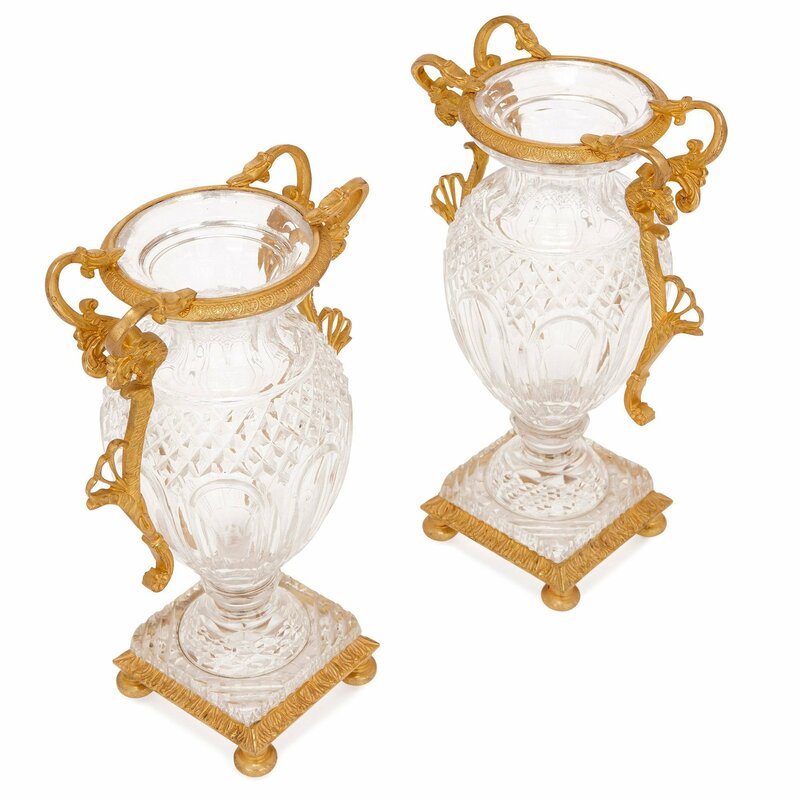 The vases are set on square ormolu bases, each supported on four bun feet.